Nice animation and character designs although, for some reason, they look familiar. OMG, I love the BGM. It just makes everything flow and dramatic, enhancing the emotions and events. The OP and ED are really good. Especially the OP since Daisuke Ono sang it. <33 ahah. Obviously, this series is more focused on dark themes. So there isn’t much use of bright colors except for the scene where Haruka meets her dead sister. That was probably the only bright-colored scene. Everything else had dark colors and tones which is nice because I like it that way. So, no complaints there. I really do hope that this series doesn’t revolve or at least make Haruka and Yakumo’s love the main focus of the story. 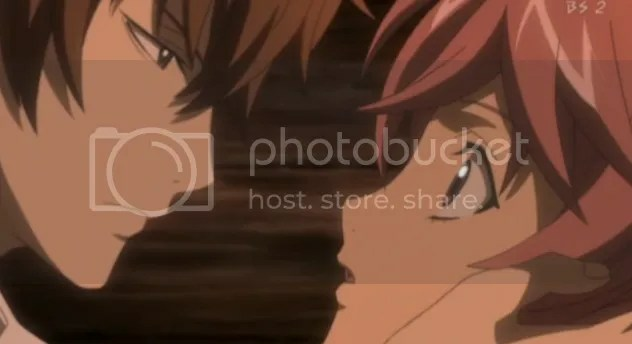 Well, I’m just assuming but I think it’s obvious that there’s going to be a bit of a romance between Yakumo and Haruka. There’s only be 13 episodes and I think it might be bit too short. There was somewhat a lot introduced but not compared to Star Driver. In just this one episode, we find out a bit about Haruka and her past, the antagonists and a fraction of their goal, and a bit about Yakumo and his abilities. I’m going to watch this even if it turns out crappy at the end. Well, if it gets TOO crappy then I won’t but it’s not like I’m saying that it’s going to be crappy. It might. It happens from time to time. Overall: I enjoyed it. You might too, I think.. I hope. Try watching the first episode. 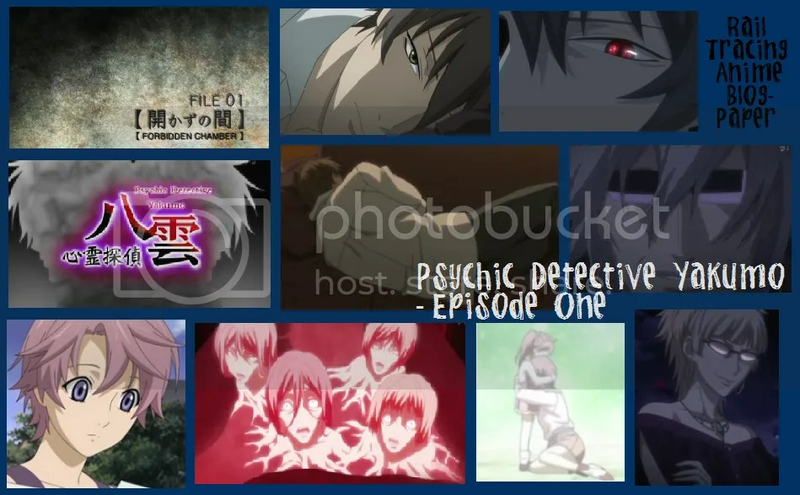 This entry was posted in Anime, Currently Watching, Psychic Detective Yakumo and tagged ghosts, mystery, supernatural. Bookmark the permalink. lol, what do you think of Yakumo?